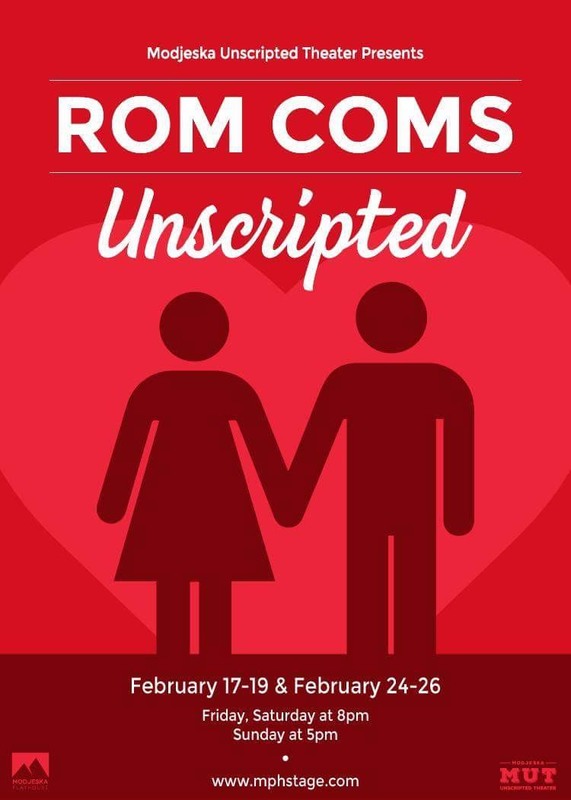 Modjeska Unscripted Theater returns with Rom Coms Unscripted! Rom Coms Unscripted is a completely improvised, full-length play in the style of 1980’s Romantic Comedies. Based only on audience suggestions, the Modjeska Unscripted Theater (MUT) cast creates all the meet cutes, romantic tensions, defining moments and classic Rom Com tropes you would expect from any date night movie, on the spot. Each show is totally original, completely improvised, and performed only once. No show is ever the same! Rom Coms Unscripted is a wild night of laughter and romance that would make Tom Hanks and Meg Ryan proud. Times: Fri-Sat at 8 p.m., Sun at 5 p.m.